GRINDERS OF GRAIN, DRY GRASS, VINE SHOOT, LUCERNE. Our enterprise offers you kukuruzoterebilka. SHNEKOVYE CONVEYORS. Contacts for the order: mob.tel. : + 373 - 691 - 07 - 891; tel/fax: + 373 - 22 - 47 - 63 - 51;e-mail: 777-tehmarket@mail.ru; Moldova, Chisinau, Mesterul Manole, 9; "777 si C" S.R.L. Video: "Conveyor of shnekovy 15 - 20 tons \hour". CONVEYORS TAPE. Contacts for the order: mob.tel. : + 373 - 691 - 07 - 891; tel/fax: + 373 - 22 - 47 - 63 - 51;e-mail: 777-tehmarket@mail.ru; Moldova, Chisinau, Mesterul Manole, 9; "777 si C" S.R.L. 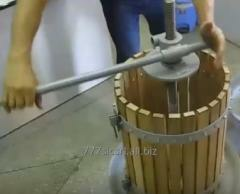 VIDEO: "Conveyor tape scraper". 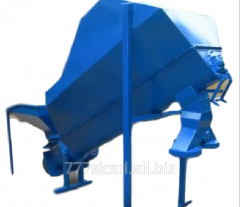 Production and supply of equipment for farms, construction and manufacturing enterprises. Grinders of grain and corn in ears: 150 - 2000 kg \hour. Grinders of a grass, lucerne, grapevine: to 1000 kg \hour. Sechkorezka \grinders of stalks of corn \: 150 - 2000 kg \hour. Kukuruzoterebilki: 10 - 4000 kg \hour manual and electric. Conveyors are shnekovy, spiral, tape. Crushers grape manual and electric. The press grape with a jack. 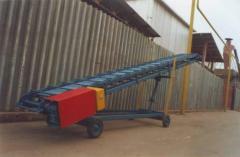 We make lines of processing of agricultural products \to order \. 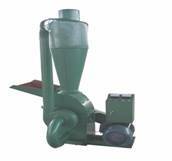 We make the equipment for farmers and individuals to order. We carry out service and repair, the made equipment. Metal compression molds for paving slabs and wall blocks, a metal timbering. Our SHOP: Sale wholesale and retail farmer, production, construction equipment. A complete range of products and services 777 si C, SRL. All information about 777 si C, SRL in Chişinău (Moldova).